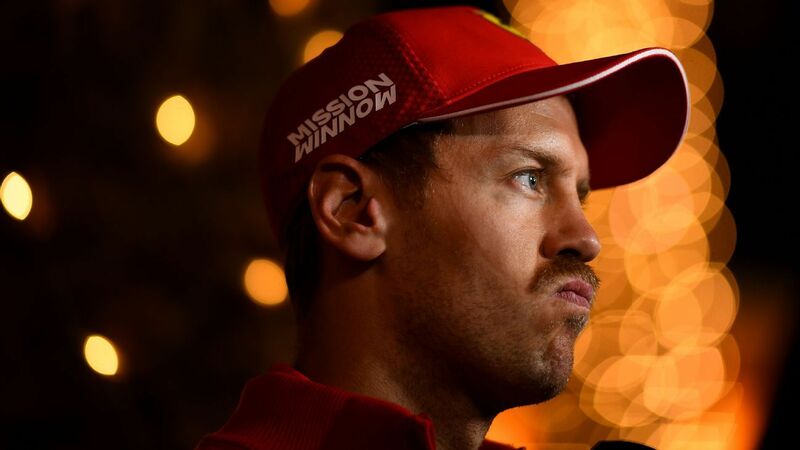 Romain Grosjean will drop three places on the grid in the Bahrain Grand Prix for an incident that McLaren rookie Lando Norris said Sebastian Vettel was at least partly responsible for. Twelve months ago Haas left the season-opening Australian Grand Prix distraught after suffering a double DNF and failing to capitalise on their best ever qualifying performance. Can Mercedes keep its F1 empire together? Will Ferrari finally do the right thing? Can Renault produce a season worthy of Daniel Ricciardo? A look at what each team is losing sleep over ahead of the Australian Grand Prix. A look at the 10 teams on the Formula One grid in the order preseason testing suggested they all sit on the eve of the Australian Grand Prix. After his first chance to properly follow a rival on track in testing, Haas' Kevin Magnussen said the early signs are that the changes made to Formula One cars in 2019 will improve racing. Haas reveal their new black and gold formula 1 car their drivers Kevin Magnussen and Romain Grosjean will be driving for the new season. Haas' new-look livery for 2019 -- a blend of black and gold made famous by Lotus in previous eras -- came with bold proclamations from the team's newest financial backer. Haas has 96 hours to formally submit an appeal its unsuccessful protest surrounding the legality of Force Indias two cars, which was dismissed by the FIA stewards on Saturday. Haas has been unsuccessful in its protest against Force India after a hearing on Saturday at the Yas Marina circuit. The extensive stewards' verdict from Haas' unsuccessful protest of Force India, including the main arguments, background and decisions. The Haas Formula One team says it has launched a protest against rivals Force India at the Abu Dhabi Grand Prix in a bid to seek 'equality' over a long-running prize money dispute. Haas has been unsuccessful in its appeal against Romain Grosjean's disqualification from September's Italian Grand Prix, where he originally finished sixth. Romain Grosjean is concerned he could be hit with a race ban after notching up his 10th penalty point of the season at the U.S. Grand Prix. Haas F1 Team confirmed an unchanged driver lineup for 2019, keeping Kevin Magnussen and Romain Grosjean together for a third Formula One season. Haas team principal Guenther Steiner believes his team has come under extra scrutiny from its rivals now that the American outfit has become more competitive. Tech Corner: Why was Grosjean disqualified at Monza? Haas' Romain Grosjean lost his sixth place finish at the Italian Grand Prix, but what exactly was illegal about his car? Romain Grosjean has been stripped of sixth place at the Italian Grand Prix and excluded from the result after his car was found to be illegal according to F1's regulations. Gene Haas is frustrated at the concessions made to the rebooted Force India outfit since its takeover during the summer break. Romain Grosjean feels he has turned a corner in the races leading up to the summer break after a tough start to the 2018 Formula One season. Romain Grosjean is confident he still has the potential to stay in F1 for several years and is hopeful he will one day get an opportunity to win races before he retires. Despite losing a big haul of points last weekend, Kevin Magnussen feels the late chaos of the German Grand Prix provided a good learning opportunity for himself and Haas. Haas boss Guenther Steiner thinks each of the seven teams behind Mercedes, Ferrari and Red Bull are now equally capable of challenging for points every weekend. Haas team principal Guenther Steiner is concerned by the amount of points his team has thrown away this season, warning his drivers that losing points through mistakes is not acceptable. Guenther Steiner says Haas is capable of beating Renault to fourth in the championship in 2018. Is Haas finally hitting its full potential after getting both drivers into the top five places at the Austrian Grand Prix?